Visual Artist William Monague Native Art sharing the culture of the ojibwe ojibway through the spirit of color - WILLIAM MONAGUE NATIVE ART Inspired by Mother Earth and the Spirit World, William Monague shares his unique artistic expression and Anishnabek Culture by providing the "Spirit of Color" to any home or business. 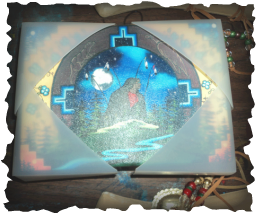 An Extensive & Diverse Collection of Native Art ! 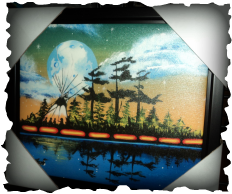 William Monague Native Art - Sharing Anishnabek Culture and Spirituality through the "Spirit of Color"